Typically in nature, when one animal dies, it’s so another can live and therefore restore the balance of nature. This cycle is also true when it comes to our unique saguaro cactuses that only grow in certain parts of Arizona and Mexico. While hiking in and around the Phoenix area, you can’t help but to fall in love with the big tall saguaro cactuses. They stand proudly in the harsh desert patiently overlooking the landscape. 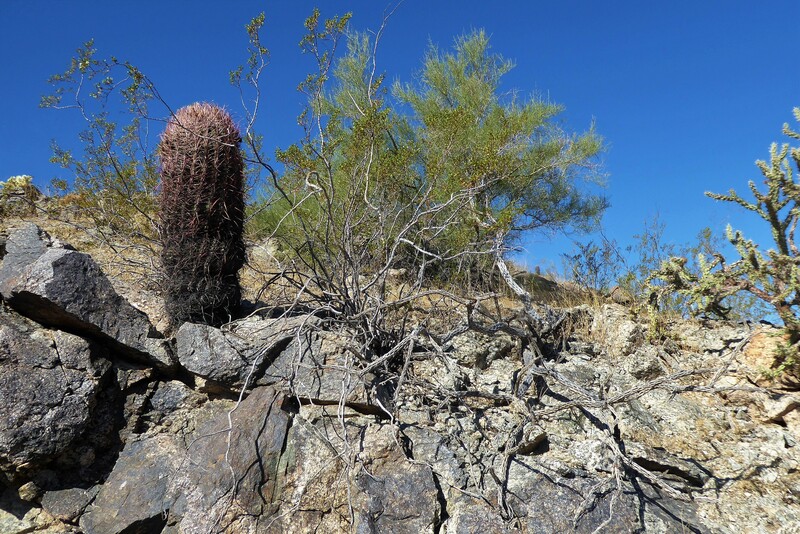 The saguaros are special to the Sonoran Desert and when hiking they start to feel like familiar friends. But did you know that in order for a saguaro cactus to develop, they need a nurse tree to protect it during the early years and then they will eventually kill it? As the cactus thrives on life the root system will expand and attack the nurse tree and then ultimately destroy it. Poor nurse tree! Palo Verde are the most common type of nurse tree that you will see sheltering a young saguaro. But Mesquite and Ironwood trees also can be used. The point of the nurse tree is to protect the young cactus by offering shade, warmth and moisture so that it can grow. It will give this protection for around 10 to 12 years and then slowly the cactus will outgrow the nurse tree. The bush that has been supporting the cactus’s growth is still alive but it looks like the end may be near. 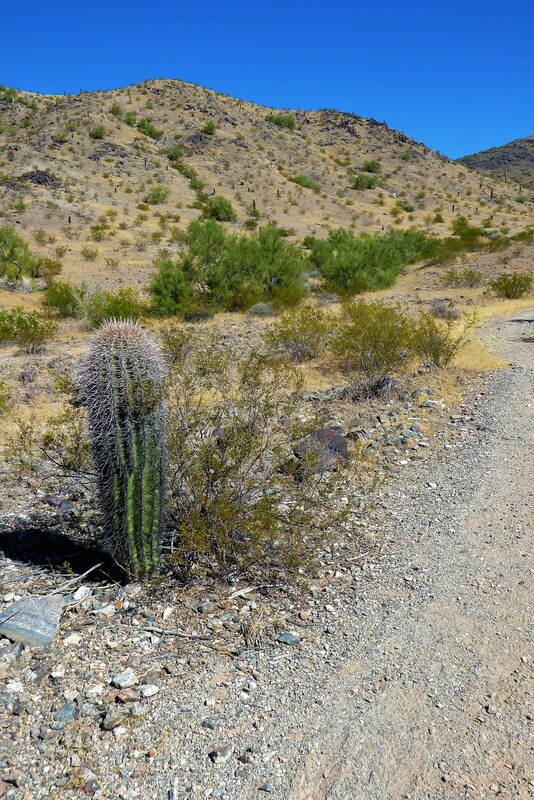 The saguaro cactus grows very slowly, as they live to be about 150 -200 years old. So this process of overtaking the nurse tree can be a gradual process. This defiantly goes to show that in nature there will always be a take and a give relationship. So next time you are out hiking, pay attention to the smaller saguaro’s and see if you can spot the nurse tree next to it.